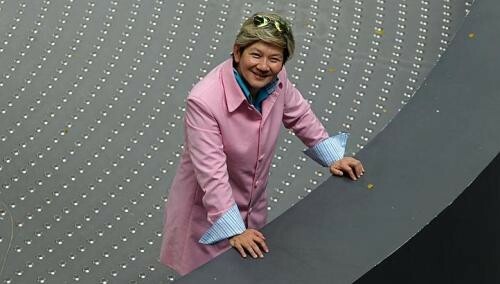 Ms Elim Chew's personal investments are in her own company. With work mostly on her mind, that makes her a real "workhorse". She is a careful investor who does not speculate but looks at investment potential - and she adopts the same approach in business. Her dreams remain ambitious though. For instance, she wants to help Singapore become an "Asian fashion and design city" and connect Singapore to the world. Other plans include looking into the food and beverage industry "because just like many Singaporeans, I love good food". Q: In terms of investments, what kind of year did you have in 2013? I am dedicated and very focused on my company's developments. Therefore, I treat company investments as my personal ones. Returns vary from each venture but, overall, they are up to expectations. It was an exciting year as we were and are making strategic changes to our business portfolio. Q: What kind of investments do you have? We bought some commercial properties, moved into third-party logistic businesses, and we are investing in businesses and connecting companies with good business potential for growth, helping them find investors. We are also seeking to expand 77th Street Plaza, our Beijing mall business and, locally, our 77thstreet.com e-commerce business. Q: What will be your investment strategy this year? All sectors with potential, that is the viability of the business, will be considered. Our shareholders usually do not take dividends but instead leave the profits in the company for further developments. This year, we are looking into the F&B industry. We are still at the early stages so I can't unveil much at the moment.